What do we have for review today? It is Burson’s burly Conductor Virtuoso. 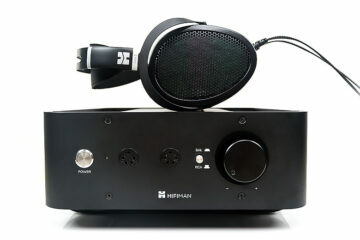 Is this the all around headphone amp that we have all been waiting for? Will it drive anything with ease while staying refined and quiet enough for easy to drive headphones as well? Does it come with a refined and transparent sounding DAC? You’ll know by the end of the review but for now lets talk about what it is first. 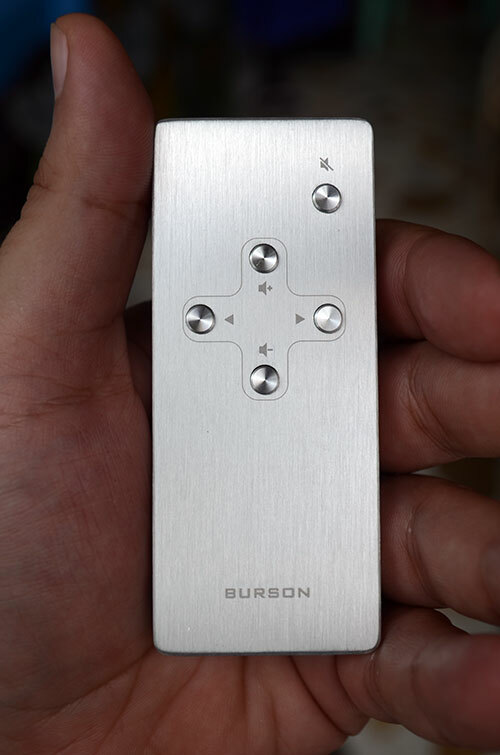 Burson’s Conductor Virtuoso is the company’s current top of the line combination of a headphone amplifier, digital to analog converter, and preamplifier all in one very simple yet classy looking box. 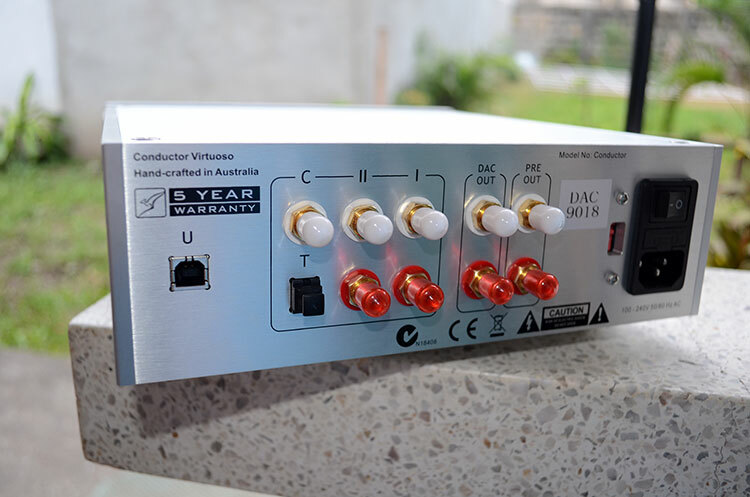 The amplifier section of the Conductor Virtuoso is essentially identical to Burson’s own highly rated Soloist headphone amplifier which should excite ortho-heads out there that need 4 watts of power on tap for their power hungry beasts. So far as the DAC is concerned, buyers have the option of getting the Virtuoso with either the Burr Brown PCM1793 or the ESS9018 Sabre DAC. The one I have with me comes with the ESS9018. So far as the preamplifier is concerned, I am not sure what sort of magic was sprinkled in there this time but based on my previous experience with Burson’s HA160D, using it as a preamp made a huge improvement over the old separate adcom preamp that the system was connected to at the time. Based on that, I would assume that this newer and higher end model would be as good or better than the old HA160D so far as the preamp section is concerned. I can not compare them side by side though since I do not have the HA160D with me any longer. Talking about comparing the Virtuoso with the HA160D, I just have to mention that the Virtuoso can be used as a DAC only unit while the HA160D’s DAC could only be used when listening to headphones through its own amplifier or preamp. So what do you get when you open the box? You get the Conductor Virtuoso, one power cable, a pair of RCA cables, one USB cable, and one remote control that looks as good as it feels. The Virtuoso comes with one USB input, one RCA coax digital input that supports 24/192, one Toslink SPDIF input that also supports 24/192, and two RCA line level inputs. Outputs are the RCA DAC out, preamp out, and the 6.35mm (Quarter Inch) headphone jack. Sorry guys no balanced inputs/ outputs or DSD support here. I haven’t heard all the Burson models but based on my experience with the HA-160D, I can now sense that Burson is going for the same house sound across the line. Without listening to them side by side, I can still say from memory and by reading my old review and impressions of the HA-160D that the Conductor Virtuoso has a similar tonality. The basic house sound that I am noticing here is smooth and refined with extended airy highs, nicely controlled bass, and a slightly warm midrange without added grit and glare. I wouldn’t say that the quality is tubelike though since the tube amps that I have heard lately usually have more bite in the upper mids despite the general consensus that tubes are supposedly typically lusher and warmer than the usual solid state amp. You may be thinking what? Tubes have more bite? Yes tubes may be softer in attack and have less defined bass and less precise high frequencies (stereotypically but sometimes in reality as well depending on the particular amp) but tonally I feel that the tube amps that I have recently heard have more bite in the upper mids and fill in the missing gaps in the response that make solid state typically more mechanical sounding and less coherent. The issue with cheaper tube amps though is that they are usually grainier in texture against their similarly priced solid state counterparts. Its sort of like comparing analog and digital I guess where digital is stereotypically cleaner yet more sterile while analog is grainier yet more musical to many people. It all depends on what camp you belong to. Lets get back in topic and talk more about the Conductor Virtuoso and the equipment and music I used to test them with. Headphones I used with the Burson include the Hifiman HE6, AKG Q701s, Shure SRH940s, Grado SR60es, Focal Spirit Ones, Rockjaw Kommand IEMs, and Apple Earpods. The only other DAC and headphone amplifier I have on hand at the moment to compare them with is the Schiit Vali tube hybrid and the Schiit Modi USB DAC. I used Schiit’s USB cable to test out the Burson as well. To refrain from cable related debates, I will not talk about the difference in sound between the stock USB cable and the Schiit audio USB cables. So first of all; What did I first notice when shifting from the Vali to the Burson using the HE6? may be a typical question…. Well, The small Vali didn’t really make the HE6 put out a lot of sound for starters. The Burson however can drive the HE6 quite well. It may not be as loud and powerful as I remember when compared to hooking it up to the speaker terminals of my old Audiolab 8000A integrated amplifier but the Burson makes the HE6 sound refined and very gentleman like against the much brighter sounding Audiolab. By the way, the Conductor Virtuoso actually made me enjoy listening to all music genres out of the HE6 for the first time ever. The HE6 out of the Burson suddenly has natural dynamics, balanced bass, and only a touch of the brightness left compared to the Audiolab which made the sound much brighter even when turning down the treble knob two notches. I can actually live with this combo now. I never thought I could be happy listening to an HE6. On a side note, listening to the HE6/ Virtuoso combo made me able to adjust some crossfeed settings very easily without stressing my brain too much. I know I got my settings spot on (for my ears/headsize) because the same values work nicely with my other headphones as well. So how does the Virtuoso sound with easier to drive headphones? Simple, the more sensitive cans sound just as good with these as the HE6s do. The only minor issue that people may not be able to live with is the slight hiss present when using sensitive cans. The hiss isn’t really noticeable with medium sensitivity cans like the AKG Q701 but is definitely there with the my Grados, Shures, and Rockjaw IEM if there is no music playing. Lets talk specifically about the basic model Grado first, the SR60e. How does it sound on the Burson relative to my Modi/Vali stack for instance. One word… CLEAN. The Grado actually scaled more than the more detailed sounding Shure SRH 940 with this amp. I thought it was weird but thats what I got as a first impression. I used to have tape modded bowl pads on my SR60e but after listening to them through the Burson, I thought of trying the Grados out with the stock/unmodded L-Cush bowls and lo and behold… a wider sound with more air and not much of that annoying upper midrange peak that it used to have when used with lesser sources and amps. I like this sound quite a bit. I was floored at the fact that I was enjoying the Grados so much more on the Burson against any other DAP or amp I have ever tried Grados with. Well, I may have enjoyed the Grados quite a bit on my old Berning Micro Z OTL using Sylvania tubes before but that was too long ago for me to remember the exact details. Morning! I was going to comment on the Soloist review but the thread was closed down so I thought you may be able to help me. Texas unfortunately doesn’t have a Burson dealer so I don’t have any place to audition their amps so I was wondering if you could explain to me the virtues of paying extra for the soloist over the soloist SL. Obviously I would love to save the money, just not sure what I would be giving up. I am driving the Beyer T1. Also, perhaps you could recommend another couple amps to check out in the $600 range? Thanks a ton! Can’t speak for Don, but having owned most of the Bursons and the T1, I would say you are going overboard on amp needs with the solo. 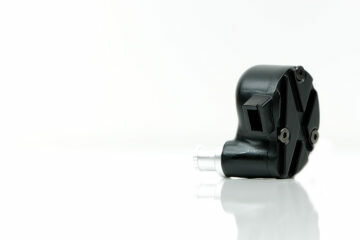 Go for a used Apex Butte or Burson HA160 instead, will save you money and be a nicer pairing for the T1. I had the soloist and the T1 together and found the pairing shoulder shrug worthy, but the Butte and the HA160 of old will suit the T1 nicer in my humbled opinion. The ha160 runs around 400 used, as does the butte if you can even find one of those. If you do, jump on it fast. Thanks. You’re right. It is difficult to find either of those amps. I’ll keep looking. I have found the Soloist for about $600 and the Soloist SL for about $400 so I’m wondering if one ofthm would be the way to go at that price point or if I should hold out. BTW – if anyone knows someone looking to unload the HA160 or the Apex Butte, I would appreciate the tip. Well – I’m well on my way. Per your recommendations, I found an HA160 at a good price ($315 all in) and it will be arriving tomorrow. If I end up wanting to replace my DAC, do you have any recommendations? I know you mentioned in your ‘flagship comparison’ to possibly pair it with a warmer DAC to achieve a slightly warmer low end. I will use it primarily for music but also for a fair amount of movies and gaming. PS You should get a commission or something for your recommends. But then of course, I am particularly interested in your opinion since I know you’re never going to give me a sales job.